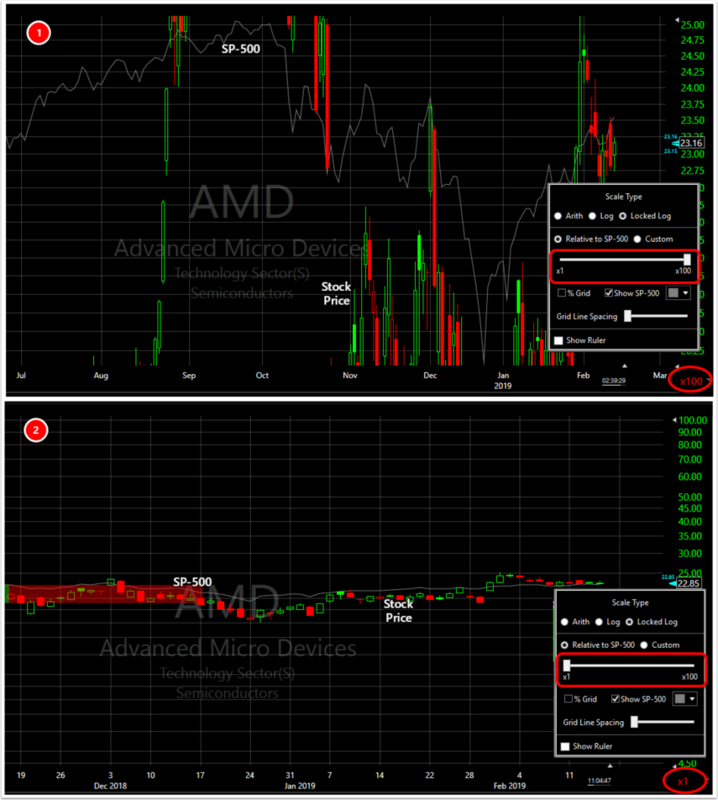 This scaling mode allows you to make a direct visual comparison of the volatility of the stock you are viewing with the volatility of the broader market as represented in SP-500. 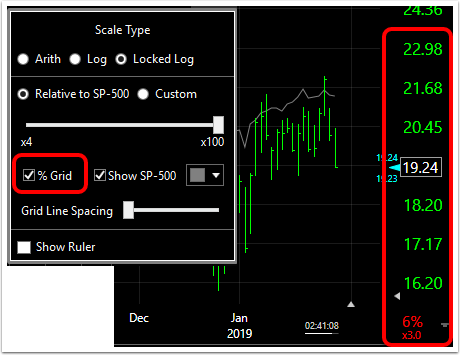 Relative to SP-500: This scale method allows you to see the volatility (movement) of your stock directly compared to the volatility of the SP-500. The x factor (slider) is used to determine the comparison. (For example: choose 100x for the S&P plot to fill 100% of the window; 1x means the SP-500 takes up 1% of the window.) Move the slider back and forth to expand/contract the window. If a stock is very volatile compared to the SP-500, some or much of its price history can actually go off the top/bottom of the chart (see below) at 100x. As you move from chart to chart, you get a much better picture of how the volatility of the stock you are viewing compares to the broader market (SP-500). 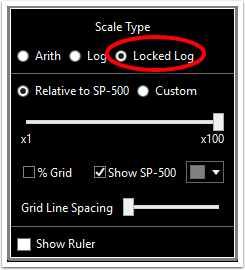 Hover the mouse over the Locked Log SP-500 scale to increase/decrese the number of gridlines.